Escapism. After four years of taking photographs for the blog only in my home town, Tel Aviv, I decided to take advantage of the extreme situation and take the photos in a more peaceful atmosphere in moshav Batzra, where my photographer, Alon Segal, has recently moved in. Batzra is a lovely place, a 25 minute drive from the city. After a short fact-finding I discovered that the moshav was established in 1946 by a group of Israeli soldiers, who trained in the British army combat engineering corps, and served near Basra in Iraq, giving the place its name. Every corner of our country has an intriguing history. 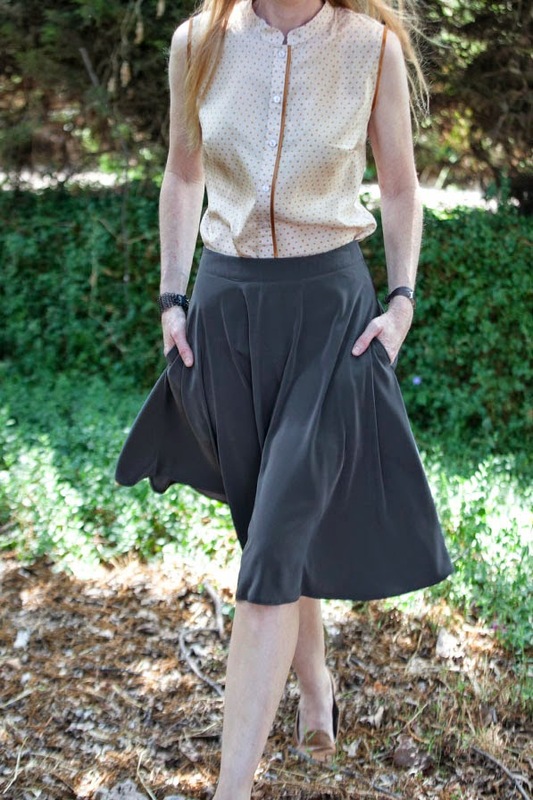 In the photos I’m wearing two sets of silk blouses and a midi bell skirt. The blouse is sleeveless, and has a Chinese collar and a diagonal strip along the buttoning and on the shoulders. The skirt is made of an extra soft and fluid peach skin fabric, with a belt in the waist. It is knee-high and has two hidden pockets. 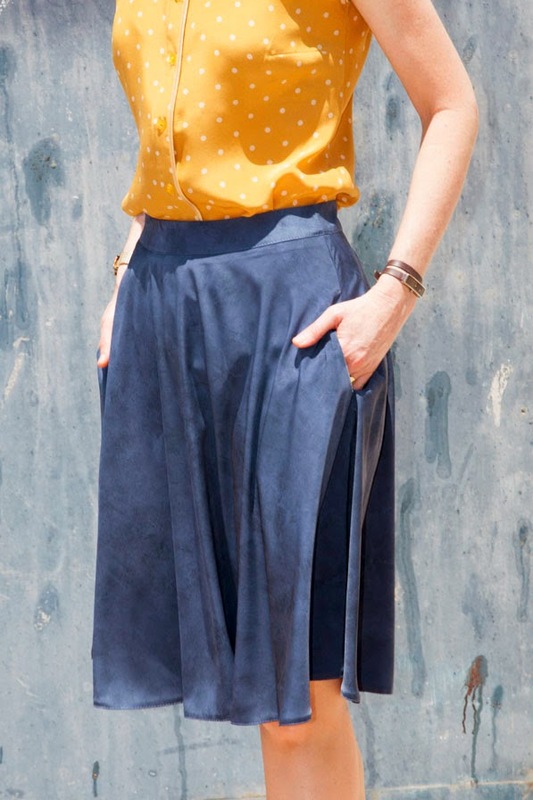 In the first set I matched a mustard blouse with cream colored dots with a blue skirt with a smoke print. In the second set I am wearing a cream blouse with tiny mustard stars and a skirt of the same fabric, in a mouse grey tone. The blouse is also available in plain purple silk and flowery grey (the same fabrics as the Drop Neckline Dress), and the skirt is available in black, light grey and petrol blue.